I’m not going to lie. 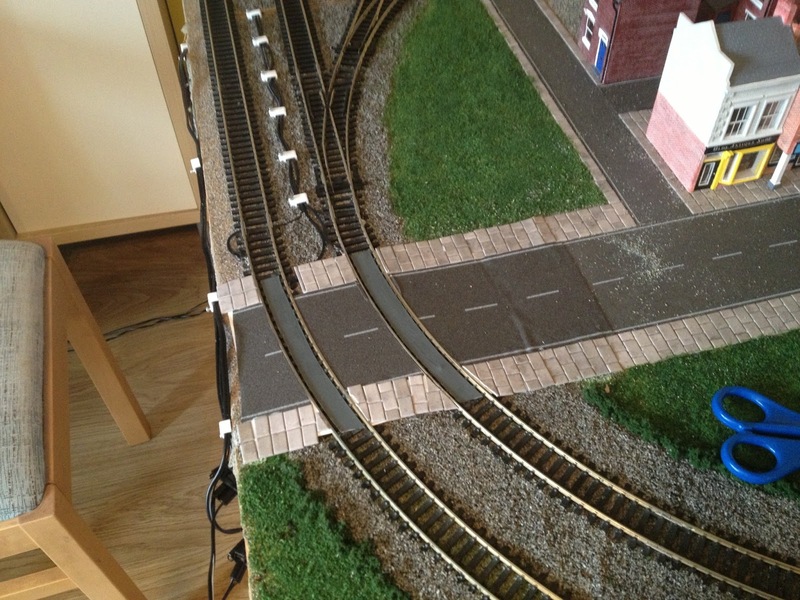 You’re going to get derailments on your model railway… Mimicking real life? Well you’d hope not, but let’s not forget we’re dealing with moving parts a 76th of the size of their real life counterparts. It’s bound to happen every now and then. I’ve even been at exhibitions where I’ve seen it occur, so don’t worry it – it happens in the pros… You’ll quickly find out that there are either certain types of rolling stock or certain areas of track that potentially cause frequent problems. There are usually some common causes. Above is an example of a the common Hornby Point (R8072/3). 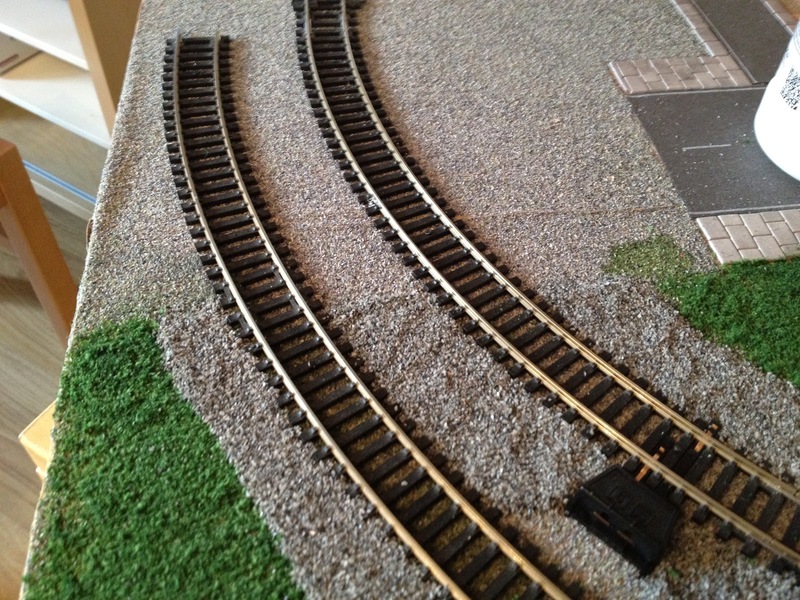 Common because the curve on it fits the 2nd radius oval standard set by Hornby and thus slots easily into most layouts. (Here you can see them littering my layout). The problem with these are they aren’t really designed for trains to run over the curved alignment at (what I’d consider to be) mainline speed. You’d be better off using this, the Hornby Express Point. Named aptly for more appropriate line switching at higher speeds. For realism they look and work a lot better, but for the space conscious modeller, myself included, they take up more room and do not fit so nicely into the design of your layout. Why do the standard points cause derailments you might ask? Well, certain rolling stock have a tendency to jump the guide/check rails and/or frogs – but I will come to this shortly. Remember these? Well I have a set of three, and in certain scenarios they are a real problem child going over the aforementioned points. Being pulled – they’re not a problem – and I think this is because the loco or next wagon is providing some guidance. However when shunted/pushed the lead wheels tend to slip up and over the frog (this is the ‘V’ shape made by the adjoining rails). Different wagons are fine over the same stretch of track in the same conditions. It just so happens that the wheel base of these wagons are such that they are derailing in this scenario. Not a lot you can do in terms of altering the wheel base but there is a solution which I’ll get to shortly. The Parcel Van pictured above has only 2 wheels at each end. In this example the axel is fixed, and this van causes me no problems what so ever. I do however have a version of a similar sized van where the axel is allowed to pivot. Just like a 4 wheel bogie setup on a coach or loco. 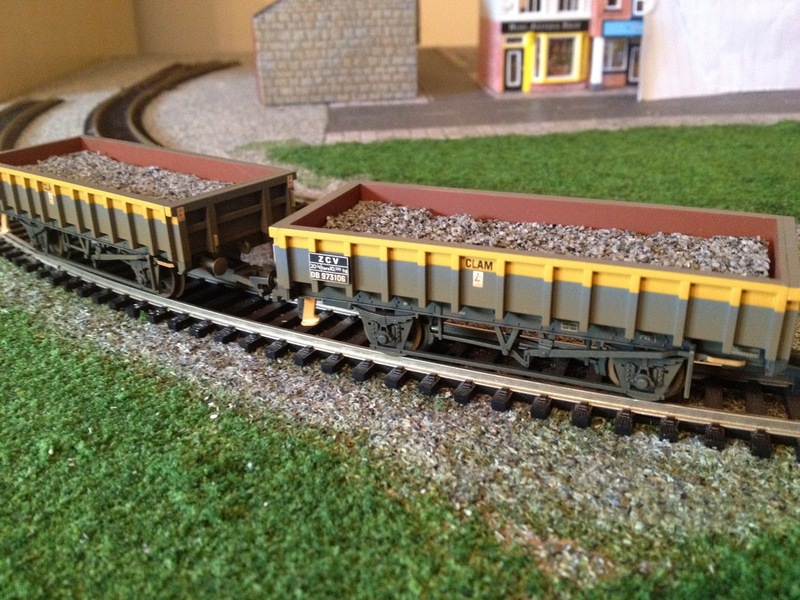 These unusual 2 wheel bogies slip over points regardless of push/pull formation and regardless of direction. I’m not sure if such vans exist in real life? It doesn’t appear to be a very good idea. 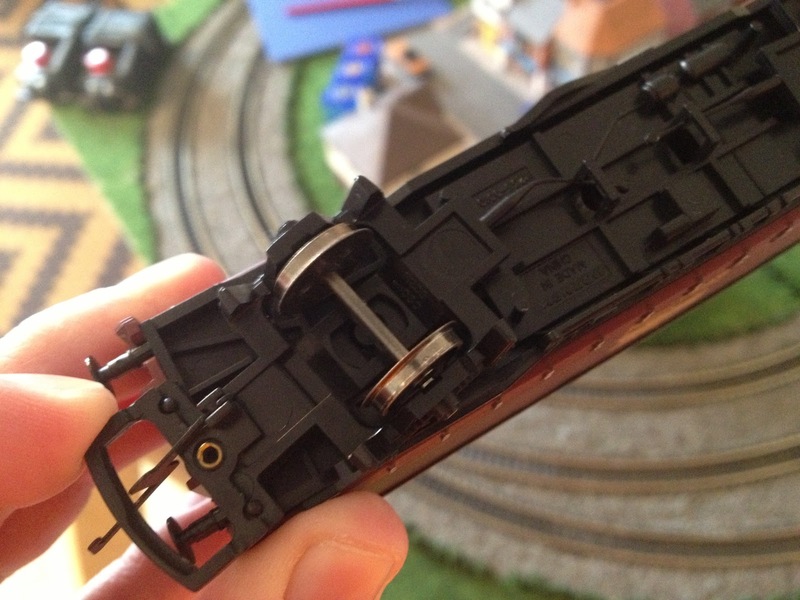 Hornby seemed to have reverted to fixing the axels on later models. My suggestion if you have any offending vans would be to run them at the rear of your train. I’ve also noticed they actually prefer running at speed when being pulled. More tension in the coupling and a more precise guidance perhaps. They certainly don’t work very well being pushed at speed that’s for sure. This is a new problem. All Hornby models of old had the same sized coupling components. Nice big chunky hooks and bars with plenty of give. Newer models though (and those of different brands) are fitted with these daintier versions. Smaller hooks and smaller catchment areas. The result means a closer coupling and better realism. Using these new couplings together, no problem. There’s a slight flex in the joint for running on curves and they work perfectly. 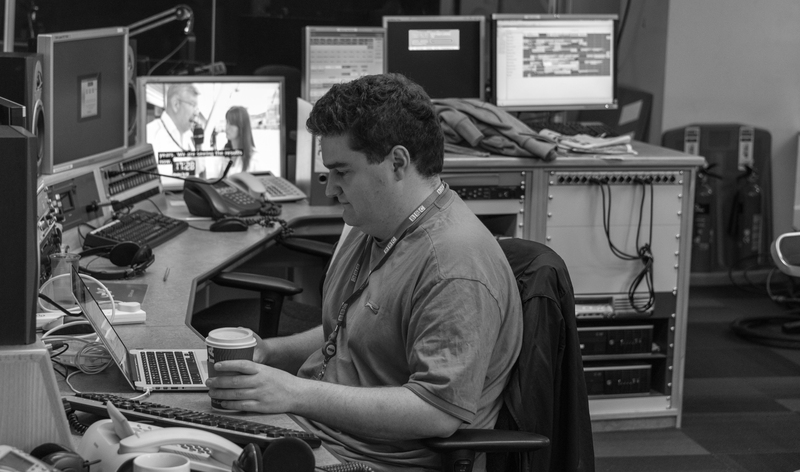 Problems start to arise when you use the old and new type together. The larger hooks tend not to fit in the smaller catchment area, and the smaller hooks often unlatch from older couplings. 9 out of 10 times though, you’ll get it working, however be aware that occasionally whilst being shunted (and not surprisingly over points) the couplings may knock each other in ways that will derail your wagons. So now we know some derailment causes what can you do about them? Well, I’ve already outlined a few pointers. Stay away from the weird 2 wheel bogie vans, try to couple like for like wagons and be aware that some stock will cause you problems. I’m not going to say, ‘Don’t buy X and Y they always derail’, because chances are elsewhere on your layout they’ll work fine. It always seems to happen in those really specific places. 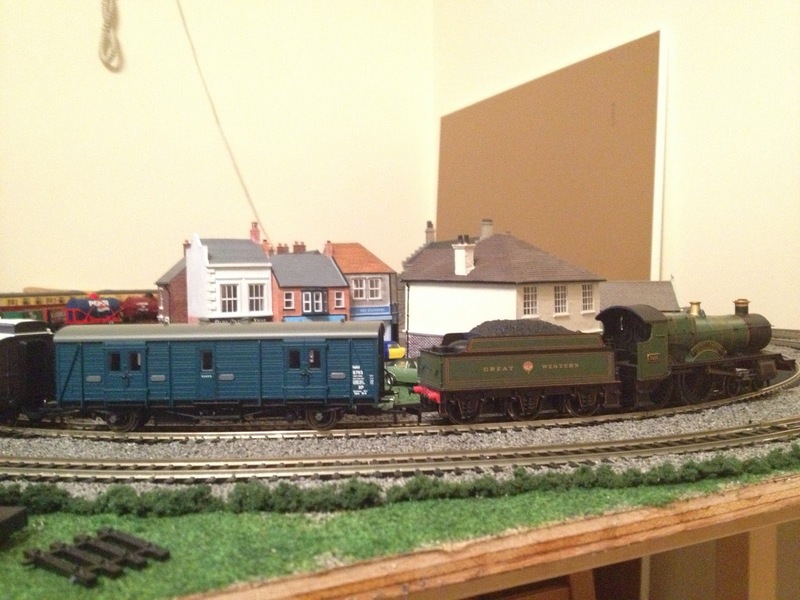 Now, if those places are the standard Hornby (Or Peco by the way) point – here’s a potential fix. It just so happened that a new loco I got for Christmas was frequently derailing at these set of points. This was bemusing because up until now these points hadn’t caused me any problems. Unfortunately this will almost certainly happen to you. One fullproof set of points for all your rolling stock will inexplicably be a problem for that certain one train, coach or wagon! 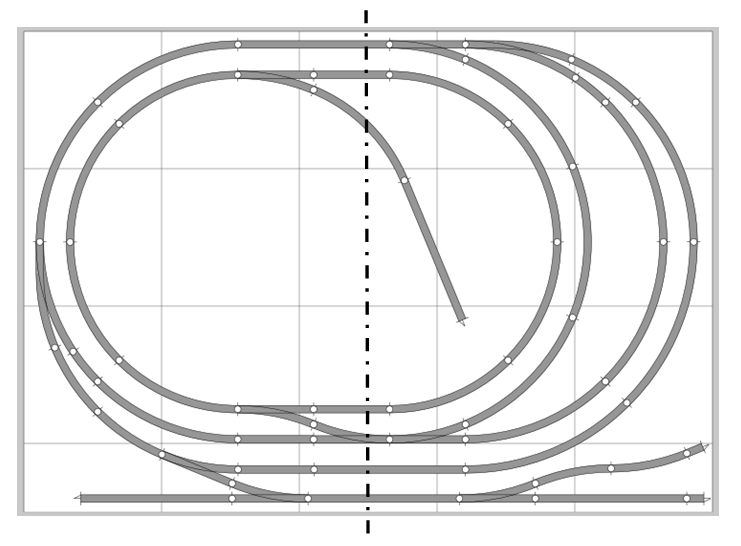 (For the following explanation imagine loco running from right to left on the curved allignment). On closer examination I noticed that the wheels of the train appeared to be coming astray just after the frog on the outer rail. It was only until I observed the other side of the train on the inner rail did I realise that the check rail just wasn’t doing its job properly. To solve this I improvised extending the check rail by introducing some unused sleepers either side. Success! The sleeper, now acting as a further check rail, pulls the wheels back on course. 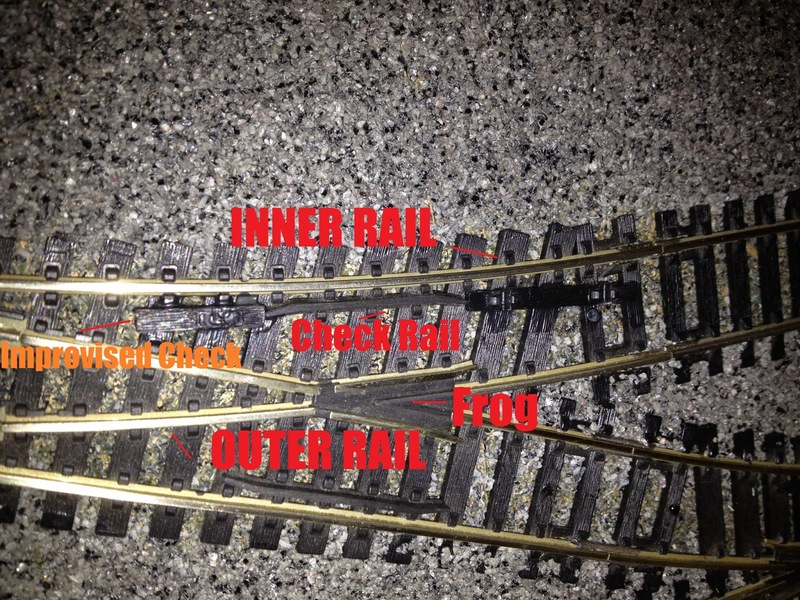 I’ve since read up on the internet about hornby point derailment cases and learnt that older hornby points (of which I had) were known to have smaller check rails. 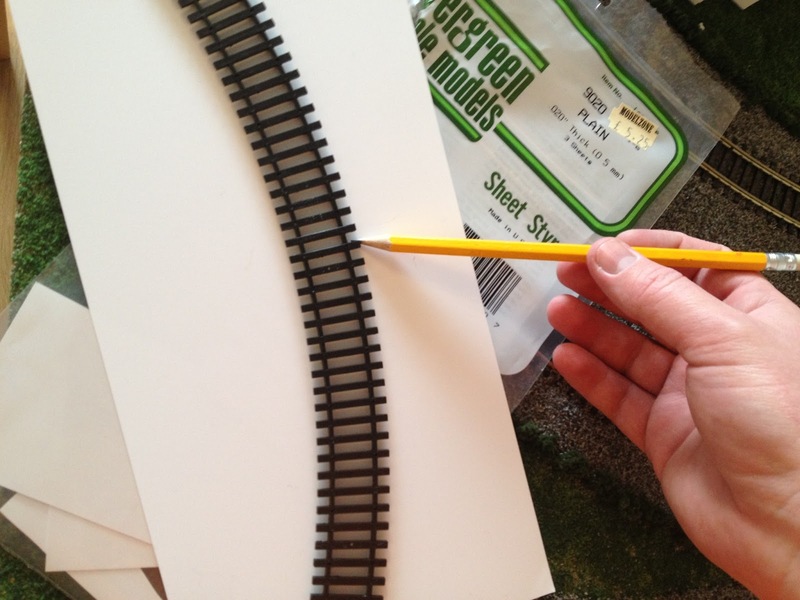 Newer ones have been improved but if you’re experiencing derailment issues why not try this! I applied the same method to other problem points and this even solved the issue created by the odd wheel base wagons! 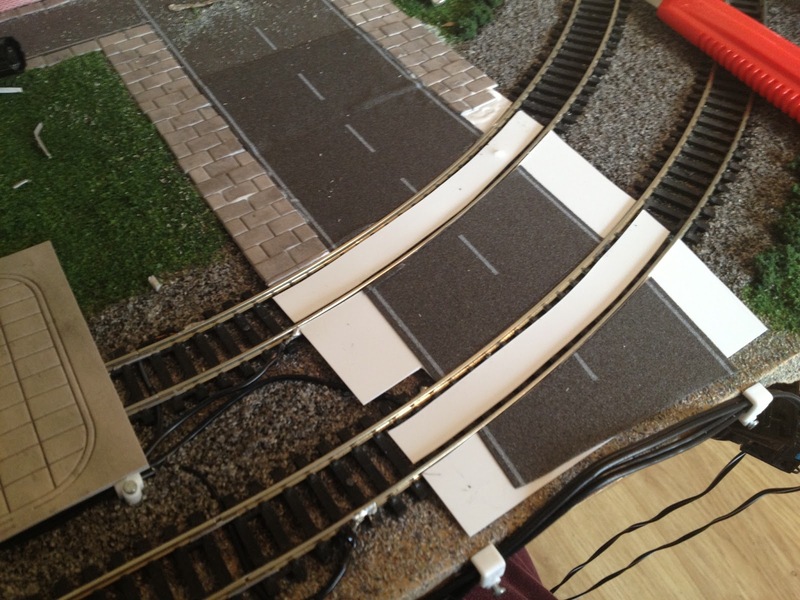 You may remember from previous episodes that I left a gap in ballast laying to leave room for a level crossing. Well now it is time to plug that gap. Most good model shops will stock thin cuttable plastic (normally in white). These come in a variety of flavours ranging from piping to girding and from stairways to thin strips. They also do fairly large sheets, and this offering from Evergreen I’ve have cut to shape the curvature of the track and stuck down with superglue. If you’ve not opted for one of the many pre-made level crossings out there and you are planning a level crossing on a straight section of track, this will be a pretty simple procedure of marking, measuring and cutting. I, however, have made things difficult for myself by locating the crossing on a curved section of track. This was initially done to save sections of straight track for points as space was at a premium. 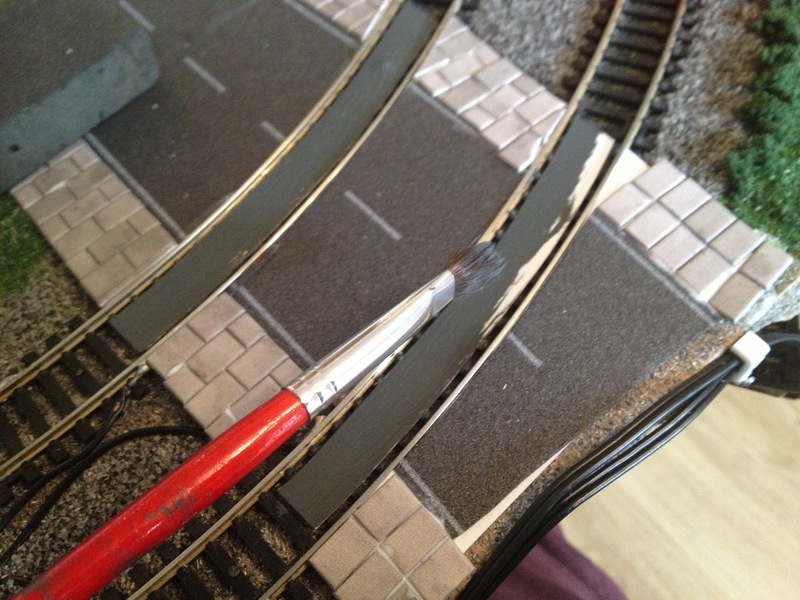 Take a spare piece of track that matches the curve radius you are trying to mark out. Turn it upside down and then you can mark where the rail touches the plastic. This will in turn create three pieces: One piece to fit outside of either rail and one piece to fit inside (this will need to be trimmed so the wheels do not touch it). 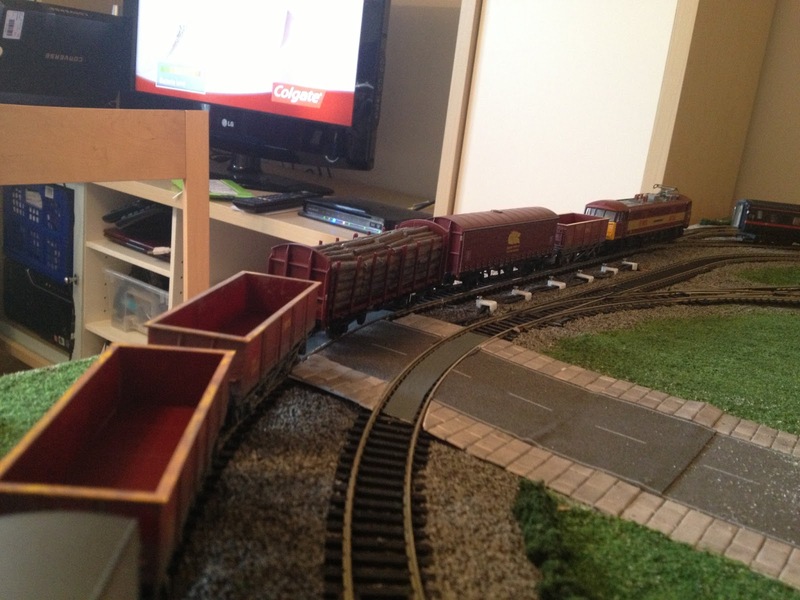 Put these in place and keep making sure a variety of rolling stock will run over it with no faults. Once you’re happy you can stick it down as I have above. I’ve then started to stick roadway and pavement down. I opted to paint the centre pieces rather than cut out further fiddly pieces of roadway. The finished article both without… (The gap in the pavement by the way is to leave room for the power supply wire).